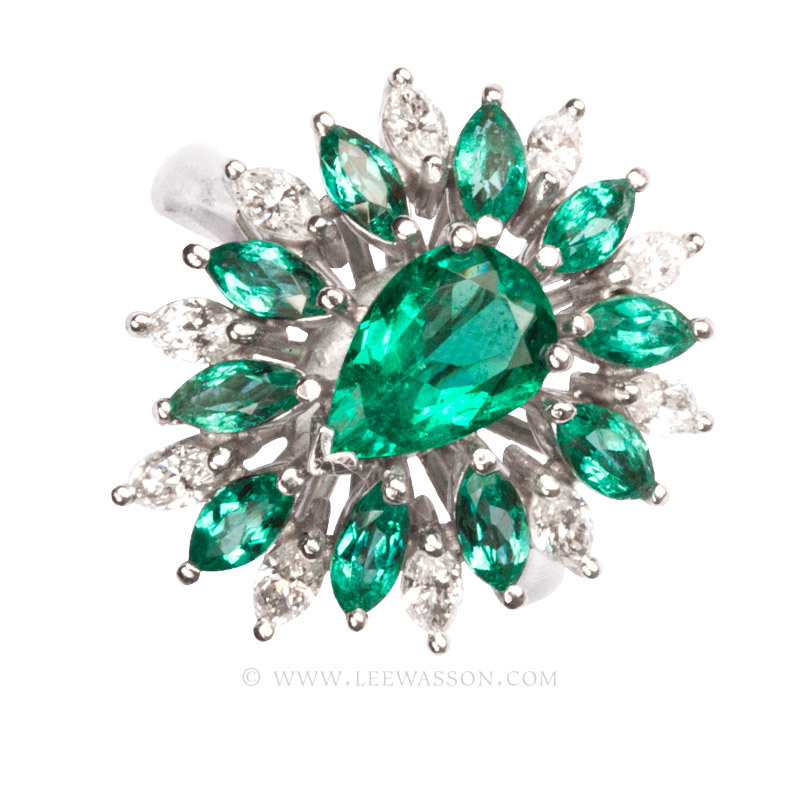 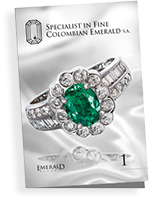 This Colombian Emerald Cocktail ring is what dreams are made of. 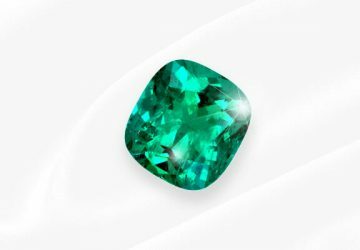 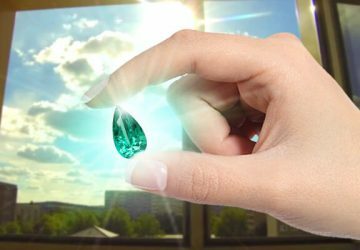 A 1.13 carat pear shape Emerald with vibrant Green color is the center stone from which 10 sparkly Bluish Green Marquise cut Emeralds radiate out into a burst of 10 bright white Marquise cut Diamonds. 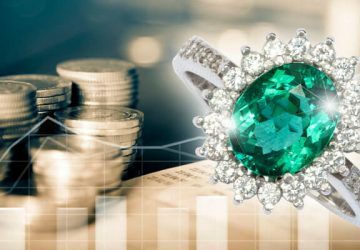 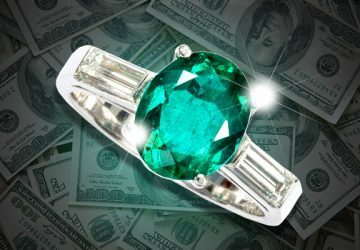 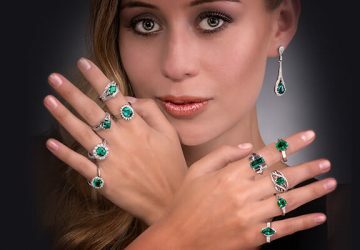 Expertly handcrafted in 18k white gold open work basket, it is a double halo Emerald ring, a work of art…that you can wear!